Emergency Medical Services (EMS) Division has administrative and operational responsibility for the design and delivery of all EMS system activities, including the certification of all uniformed personnel. 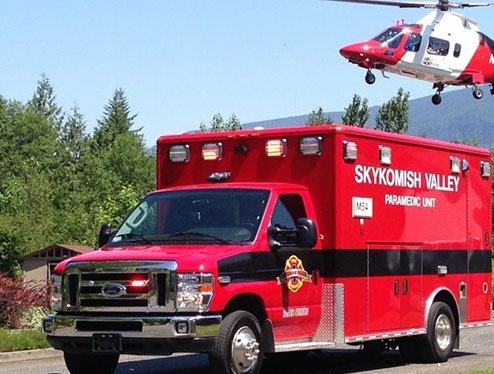 All Sky Valley Firefighters, and EMS personnel are certified Emergency Medical Technicians (EMT). The Division is staffed by a Division Chief and. a Medical Services Officer (Captain). The EMS Division provide Paramedic, Advanced EMT, and EMT continuing education and quality improvement.